A drop dead gorgeous boyfriend in an up and coming rock band, the very real possibility of attending the prestigious Julliard, a loving and supportive family, the best of friends, Mia has a lot to live for but when her world is ripped apart in the blink of an eye, can she find something to truly live for? The wonderful Kate mentioned this book recently and after reading the blub I downloaded it straight onto my kindle and finished it in around 3 days! I was completely absorbed and couldn’t put this heart breaking tear jerker down. Imagine it, the people who mean the most to you in life, your immediate family, your support network, the people who live and breathe for you as you do for them. Imagine them being ripped brutally from your life. How can you even begin to conceive a life without them? How can you see past the darkness and despair in the knowledge they are gone? Mia will never have those long chats with her mum as they wash the dishes again. Her father will never hear her play her cello again. Her baby brother Teddy will never bang on his dads old drum set again. They’re all gone. After a freak car accident, Mia is left fighting for a life she’s not sure she wants to live any more whilst all those around her are trying to convince themselves, and her, that she has something to live for, even though no-ones too sure what that something could be. Caught in a world between life and death, Mia must find the courage and strength to make the decision, she must find a reason to live. Some time is spent exploring the budding teen romance between Mia and her rock star to be boyfriend, Adams relationship but don’t be fooled into thinking this is another teen romance. Yes, it’s about love, but the different kinds of love. Love for friends, family, music, love for life. If I stay explores how hard it can be to love, through pain and hurt and how if you can love something, or someone, just enough, maybe somewhere in there, you can find a reason to live. If I stay is a powerful book that has stayed with me for weeks after finishing it. It is so beautifully written, like I said in the beginning, I just couldn’t put it down! 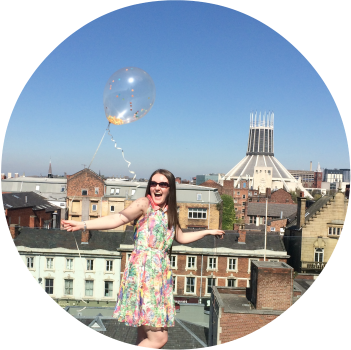 I’ve been recommending it left, right and centre, and now I’m recommending it to all of you lot too! 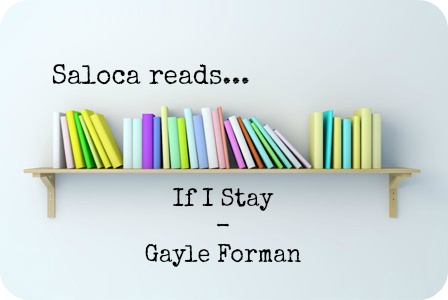 Have you read If I Stay by Gayle Forman? Any book recommendations for me? Let me know in the comments below! I don't know if I could cope with reading this book, I basically cry at everything and anything and all of the things. Weh. It was emotional but nowhere near as emotional as We Were Liars - E Lockhart! That had me blubbering on the bus IN PUBLIC! !